BTC: What steps do you go through mentally when you draw back on an animal to ensure your form is right and to help calm your nerves? Levi: You know it’s funny, I don’t think. I think it’s all in practice when you do that because everybody, including myself, when you get out there in the woods and that buck of a lifetime steps out, no matter how hard I try or how much I tell myself, “Hey, I’m going to really slow down next time and I’m going to think about what I’m doing”, I look back and go “Man, that was a blur. You know, I don’t even remember that.” I don’t remember what I did, I don’t remember why I did it, so I think It’s so important to not just get your bow and go out and shoot just once every couple of weeks or get it & take it out 3 weeks before season, because you have to create that muscle memory and teach yourself to slow down and practice. One thing I do is hunt with a caliper release. When a big deer would come out, I would draw back and get in such a hurry that when my pin got there I would just press the release off. I wasn’t really freaking out or anything, but I was rushing the shot every time. I was afraid the deer was going to run or it was going to see me, I was just nervous. So when I need to slow myself down, I started hunting with what’s called a back-tension release, or a hinge release, which forces you to slow down. You can’t shoot it fast or it’s an epic fail, so it forced me to slow down. I really feel like it’s easy to say, I’m going to think about all these different steps when a big buck comes out. But the truth of the matter is, I really feel like people are going to do what comes naturally to them, which is why I think it’s so important beforehand to be prepared and have your equipment fit you perfect. 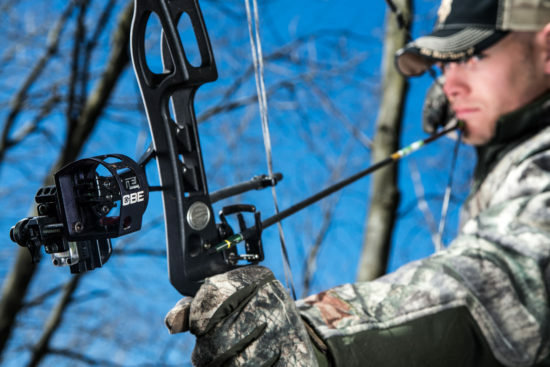 Really get to know it and shoot it all the time because when you get nervous and everything goes blank, you’re going to revert back to what you do naturally with that bow and the way you practice with it. I really think that’s the best way to be prepared for the moment of truth. Also, when I’m sitting in the stand or when I’m out hunting sheep, I imagine opportunities happening. For instance, if a buck comes down that trail, where am I going to shoot him at? Where am I going to stop him at? How is he going to be angled if he’s on that trail or if he walks out into the food plot? I try to imagine every scenario that could happen to me while I’m sitting there or while I’m hiking so when it does happen I’ve already kind of played it out in my mind that I’m going to stop him here and he’s going to be perfectly broadside or a little quartered away. Obviously in hunting, you never know what’s going to happen, but that has helped me before. Nothing is as important as just being really prepared. BTC: A lot of archers and bow hunters struggle with target panic. What advice do you have on how to overcome this? Levi: Target panic is probably the most common thing in archery. I think almost everybody has been through it at one time or another if they’ve shot a bow long enough. There are so many causes of it and because of that there are a lot of cures. I think some of the main causes of target panic are too heavy poundage, too long of a draw length, or not having equipment that fits you. Also things like your peep being too small and things in your sights that are making you too uncomfortable, for example your pins being too small to see, the target being blurry…All of those things can cause it. Another major cause is holding your breath when you shoot. I’ve talked to professional fighters and doctors about that. When you hold your breath the first muscle that starts to break down is your eyes. That’s a huge cause of target panic so that’s why it’s so important to keep breathing. I’ve seen people pull back, hold their breath and aim too long and just feeling like they HAVE to shoot now. That’s really all that target panic is, no matter what the cause, is when the pin hits the target they feel like they have to shoot now. I think the best cure for target panic is to stand in your yard, pull back and aim at the target with your arrow loaded and finger on the release. Put your pin in the middle and leave it there but don’t shoot the arrow. When your pin starts to go, let it down. Take a few seconds to regroup, then pull back and aim at the target and let down again without shooting. Do that over and over for however long you normally practice for about a week or so. All that’s doing is letting your mind know, “It’s ok for my pin to sit there. I’m in control. I don’t have to fire this shot”. Also what it’s going to do, is you’re going to aim at the middle longer and longer, allowing you to build up that confidence and stamina to keep your pin in the middle longer to let you execute that perfect shot. I think that’s one of the best drills there is. It lets you just focus on aiming, relaxes your mind and lets yourself know that it’s ok to aim at the target and not fire that arrow as soon as the pin gets in the middle. BTC: What are some of the bad habits you’ve had as an archer and what helped you the most in overcoming them? Levi: I think my worst habit, as a hunter and shooter, is when I get in a hurry. I go out and practice just to be practicing. Practicing numb is what I call it. I think when you stop trying to get better, you’re going backwards. For me, I think it’s really important to count on myself, even in practice. I don’t go out and shoot at 30 or 40 yards at the same dot every day. I try to challenge myself, whether that’s moving back further distances or trying to hit so many arrows in a row on a certain dot. Whatever games you can play to make it fun for you, that makes you challenge yourself and keep trying to get better every single time you practice and not get complacent. What should be 4 inch groups at 40 yards may be plenty good to go hunting, but it’s not the best that you can do. I think a lot of people say, “Well that’s good enough”. I’ve heard it so many times. It’s easy to do that when you’re shooting good enough but it’s important I think, for me especially, to keep challenging myself and keep trying to shoot better groups at further distances and really keep it fun and interesting during practice. 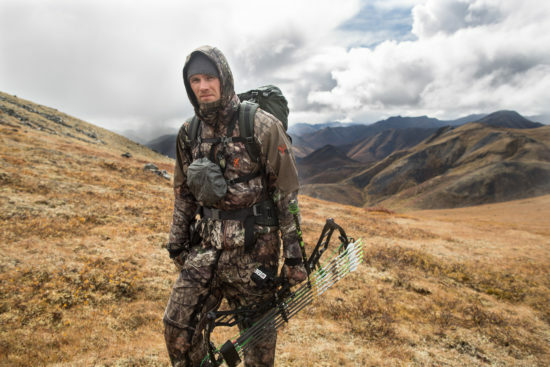 BTC: You’re going to Alaska soon to hunt sheep as part of your quest to complete the Super Slam with your bow. How far are you from completing the Super Slam? Levi: There’s 29 animals in the Super Slam and I have killed 17 of the 29 with a bow, so I’ve got 12 left. BTC: Which animal has been your favorite to hunt so far? 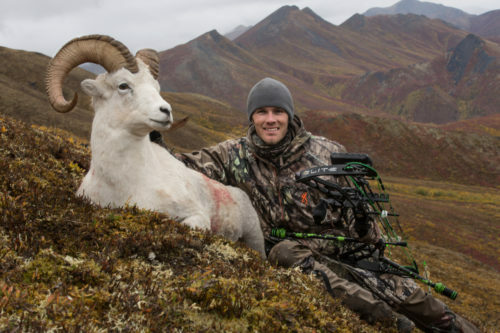 Levi: Probably my Dall Sheep in the Yukon. It was the hardest. I guess it felt the best when it was over. It was the most satisfying when the hunt was done because of how hard we had to work. We spent 14 days on horseback (The episode just aired the evening we talked on the Sportsmen Channel). BTC: Do you have any advice for others who are wanting to complete the Super Slam? Levi: Yes. Go to their website, www.superslam.org. The first thing I would say to do is to become a member of Super Slam because they give away hunts every month, and these adventure type of hunts are not cheap or easy to go about getting. Also, do a lot of research. These are not your normal types of hunts. I grew up a whitetail guy, hunting whitetail in the Midwest. 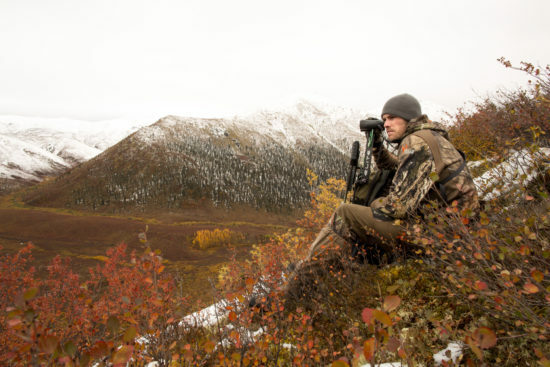 When I started doing these hunts, going to the Arctic, Mexico, the Yukon and all over the world, it was just a wakeup call on what gear I needed and how little I actually knew about my equipment. I think it really teaches you a lot when you go to those places and you’re riding on a horse for 14 days. You never know when something can go wrong, so get to know your equipment really well, do your research on what you need to take, and don’t cut corners on your gear. The weather is so uncontrollable out there on these adventure hunts.